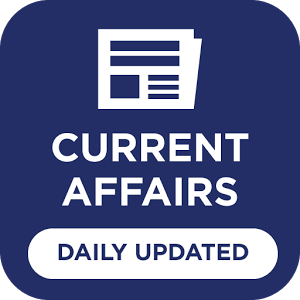 Daily Current Affairs 6 April 2019 for Banking/Insurance/SSC and other related exams. 3-day National Cardiology Confe More..
Daily Current Affairs 5 April 2019 for Banking/Insurance/SSC and other related exams. BIS and IIT-Delhi Inks MoU On S More..
Daily Current Affairs 4 April 2019 for Banking/Insurance/SSC and other related exams. WhatsApp Launches Tip Line To C More..
Daily Current Affairs 3 April 2019 for Banking/Insurance/SSC and other related exams. First secure link between India More..
Daily Current Affairs 2 April 2019 for Banking/Insurance/SSC and other related exams. Telangana tops in eLearning tra More..
Daily Current Affairs 1 April 2019 for Banking/Insurance/SSC and other related exams. Isro’s PSLV-C45 places Emisat, More..
Daily Current Affairs 31 March 2019 for Banking/Insurance/SSC and other related exams. Govt extends date of linking P More..
Daily Current Affairs 30 March 2019 for Banking/Insurance/SSC and other related exams. India to be guest country at P More..
Daily Current Affairs 29 March 2019 for Banking/Insurance/SSC and other related exams. 1,000 railway stations in Indi More..
Daily Current Affairs 28 March 2019 for Banking/Insurance/SSC and other related exams. India tests its 1st anti-satel More..